The ending was kind of abrupt and there were a few brief moments when the writer slipped into second person (a literary pet peeve of mine); which is why Mr. Twain pulled four stars instead of five on this one. All in all, I'm glad I finally got around to reading it and it will keep a permanent place on my shelf. 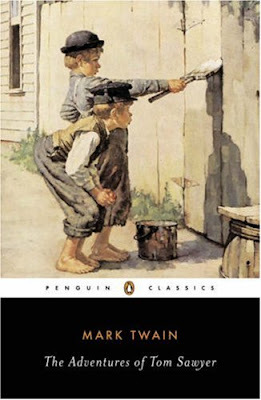 I haven't read this one in particular but I read Huck Finn and Connecticut Yankee and I really dislike Mark Twain's writing. He feels likehe's making fun of his characters all the time. I'm a scaredy-cat like Huck. I enjoyed this one as a kid. I haven't read it for years! Time for a reread. I've always enjoyed Twain's humor. Me too. I should revisit these. Thanks for the review!